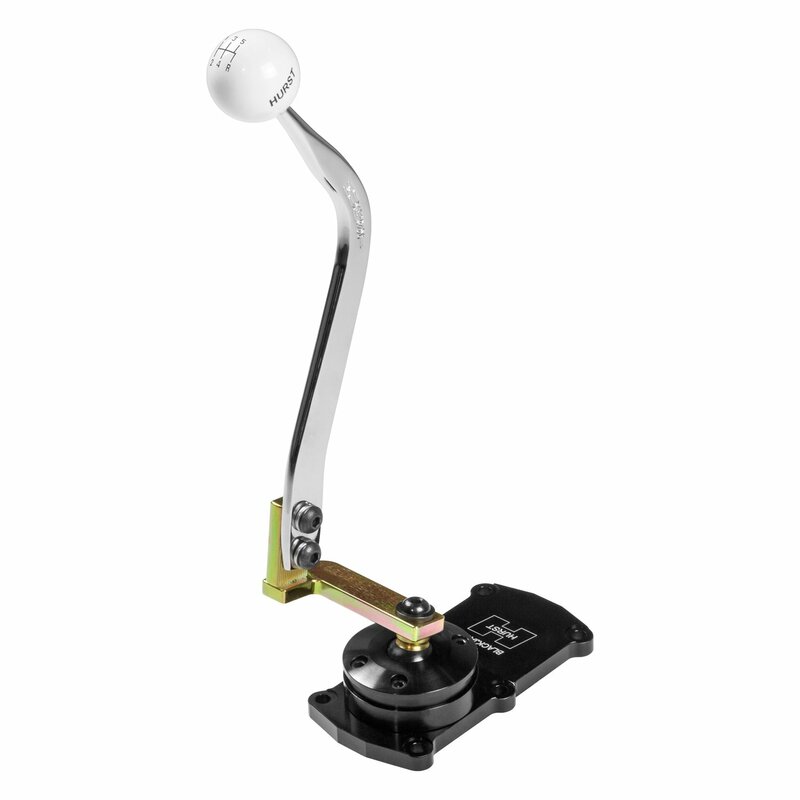 Fits Custom 65-69 Impala Applications with Aftermarket Tremec TKO 500/600 Transmissions. Fits with console. 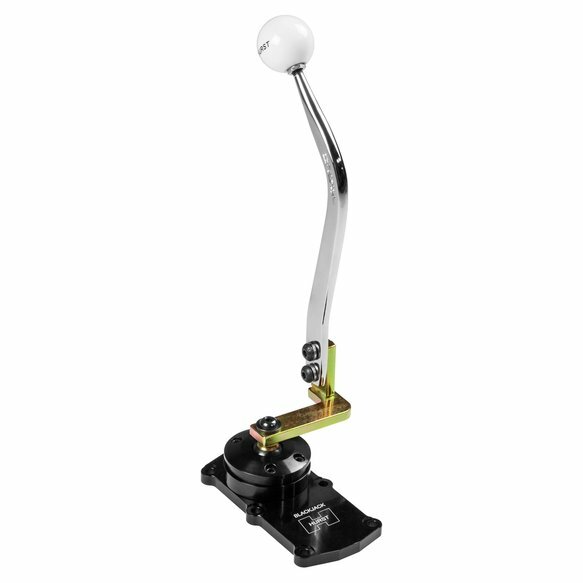 This Hurst Blackjack Shifter is specifically designed to locate the shifter handle in the proper location for all 1965-1969 Chevrolet Impala applications when using a Tremec TKO 5-speed transmission. 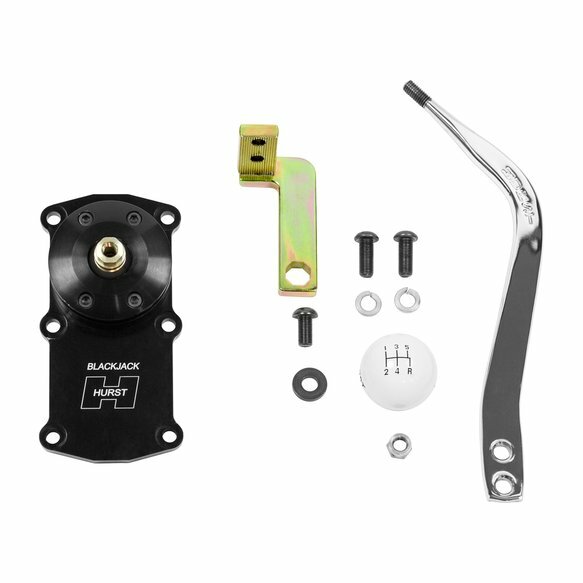 Hurst Blackjack shifter housings are CNC machined from billet 6061 aluminum, feature a tough black MIL-Spec anodized finish with the Hurst logo CNC machined in the top plate, ensuring you're buying the highest quality shifter available today for your Tremec TKO transmission. 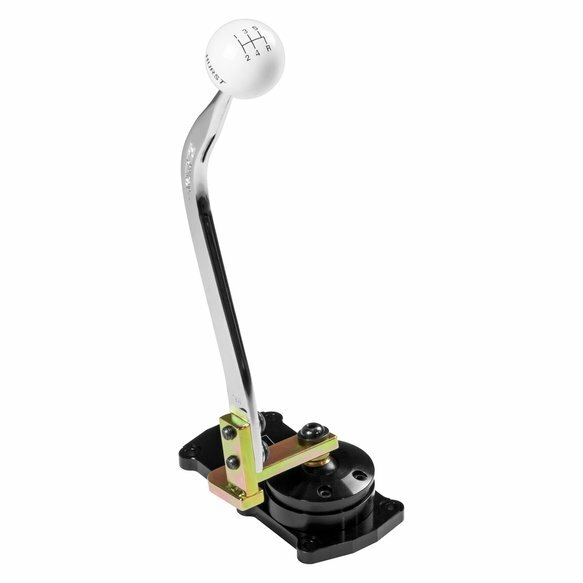 Other features include a zinc-plated hardened chromoly steel stick adapter, dual stick centering springs, hardened Chromoly pivot pins and a durable delrin pivot ball for positive, quiet operation. 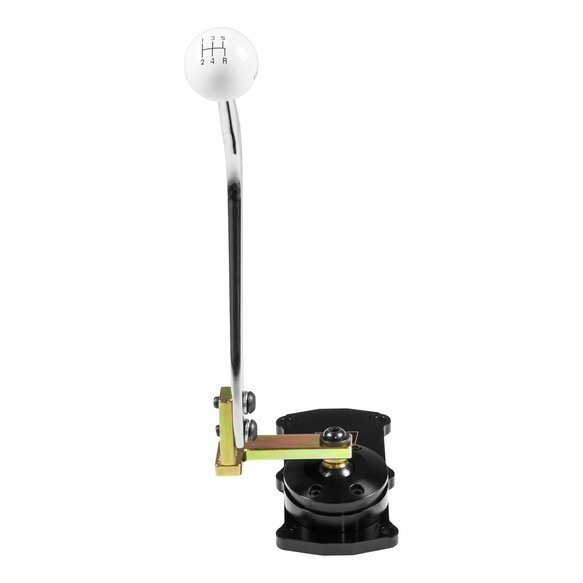 Includes the classic Hurst chrome flat bar stick and white shift ball for the specified application.